In the #1 New York Times bestselling series, class clown Jacky Hart is a triple threat onstage and she wants to act and sing all summer long -- but her parents have other plans. Jacky Hart has found a hidden talent in the performing arts, and she's a triple threat onstage! She wants nothing more than to act and sing all summer -- but her parents have other plans for her. 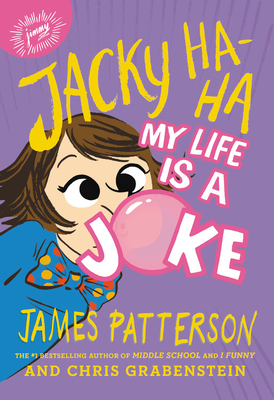 Jacky reluctantly signs up for a summer job in her resort town of Seaside Heights, New Jersey, where tourists come to enjoy the beach and fun carnival atmosphere. Now she has serious responsibilities like her job and babysitting her younger sisters, but Jacky longs to perform in the summer stock performance of A Midsummer Night's Dream. Can she handle all of her important commitments and still have fun with her friends -- or will she learn that juggling isn't one of her many talents?